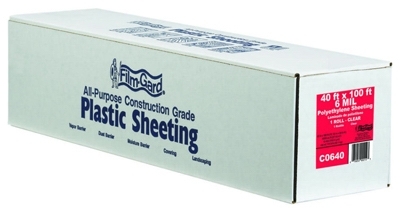 Polyethylene Sheeting, Clear, 6 mil, 20 x 25-Ft.
Canvas Tarp, Hunter Green, 12 x 16-Ft., 10-oz. Canvas Tarp, Hunter Green, 6 x 8-Ft., 10-oz. Canvas Tarp, Hunter Green, 8 x 10-Ft., 10-oz. 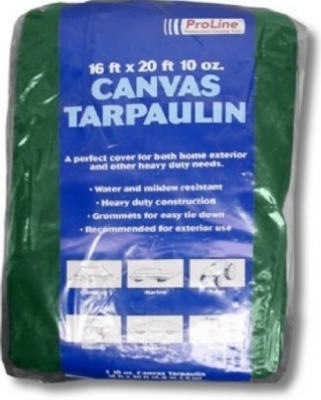 Canvas Tarp, Hunter Green, 10 x 12-Ft., 10-oz. 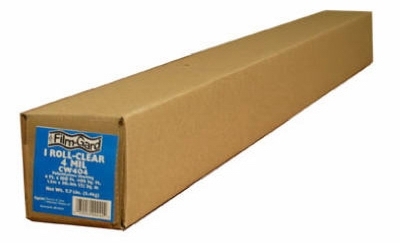 4-Mil Clear Polyethylene Sheeting, 10 x 25-Ft.
4-Mil Black Polyethylene Sheeting, 10 x 25-Ft.